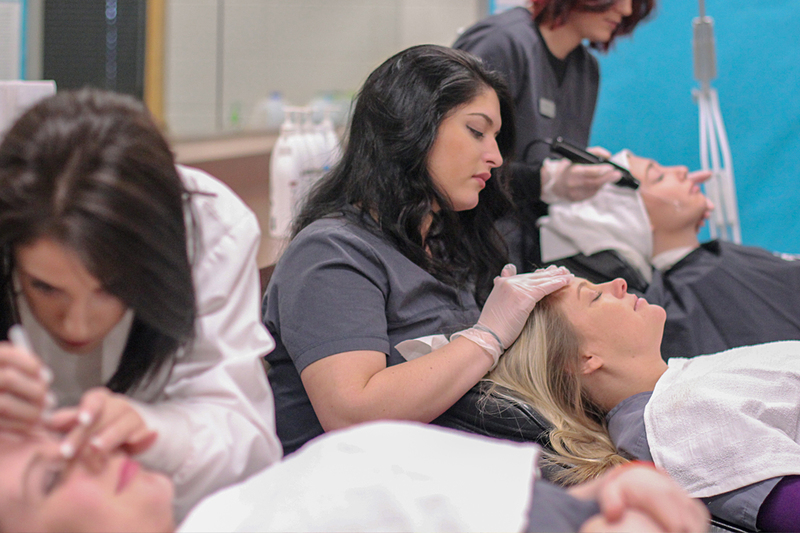 Whether your goal is to become a full-service salon cosmetologist or you wish to pursue a career as a make-up artist, aesthetician, hair colorist or more, ASUN provides you a solid foundation in cosmetology. You may also choose to fortify your training with a business degree with salon ownership in mind. All students are actively prepared and encouraged to complete the Arkansas Department of Health Cosmetology State Licensing Exam. Students who have completed our Cosmetology Program have been accepted by employers like Sport Clips, Great Clips, J.C. Penney Salon, Regis, and more. Have you found your starting point? Apply to the Cosmetology program today. The Cosmetology and Aesthetic programs require any potential student to submit a separate application for the program. The student must be accepted into the program before the student will be allowed to take courses. Download the Cosmetology application here. Download the Aesthetics application here.